Chinese Medicine is an evidence based medicine and is the oldest continuously practiced medicine in the world, dating back to the First Century BCE. TCM’s understanding of the body is focused on the functional entities of the body and their ability to work harmoniously when the body is in a balanced and healthy state, or their disfunction when there is disease or health problems. TCM seeks to use presenting signs and symptoms to find the pattern of disease and therefore treat the root cause. This diagnostic method is rooted in TCM’s idea that in order to understand a person’s health, you must study the functional aspects, rather than the structures themselves. Treatment therapies in TCM include Acupuncture, Diet and Lifestyle counselling, Cupping, Massage, Herbal Medicine, exercises (Tai Chi/Qi Gong), as well as many other auxiliary techniques. Acupuncture is one of the oldest, most common and dependable medical therapies used in the world. It is by nature simple, safe and effective health care. Acupuncture practitioners use thin, sterile disposable needles inserted superficially into specific areas of the body in order to help the body’s ability to heal itself. Over the three decades or so in which acupuncture has gained popularity in the North America, it has been proven by an increasing body of scientific evidence to be not only exceptionally safe, but statistically effective as well. TCM and Acupuncture are a Regulated Health Profession in Ontario. In order to practice TCM and Acupuncture a practitioner must be a member of the CTCMPAO. Jonathan is a acupuncturist and practitioner of traditional Chinese medicine. He values a holistic approach, and seeks to treat the root causes of illness and provide symptomatic relief for people seeking to better their health and quality of life. As a practitioner, Jonathan seeks to create a positive healing environment, where patients can step away from their daily stresses. Through creating a safe and comfortable space, patients can look forward to coming in for treatment as an opportunity to seek relief and get the support they need. Jonathan’s goal is to empower patients to take control of their own health, using acupuncture as a tool to get them there! He views role as being a facilitator, allowing the patients to drive their own health forward. The patient has already made a choice to improve his or herself by coming in for treatment, and they therefore need the tools to help them achieve it. Jonathan has a special interest in helping people manage stress and related issues, including sleep disorders, anxiety, depression, fatigue, and pain. 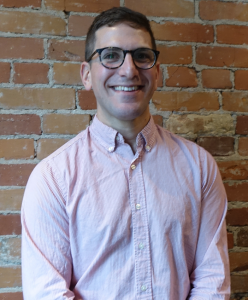 Jonathan also has chosen to focus on prenatal health and believes that acupuncture is a great tool for pregnancy related concerns such as nausea, itchiness, threatened miscarriage, pain, depression/anxiety, pre-labour treatment, breach presentation, and induction. Other clinical focuses of his include acute and chronic pain, headaches and migraines, women’s health, fertility, digestion, and fatigue. Jonathan graduated from the Toronto School of Traditional Chinese Medicine (TSTCM). He is a member in good standing with the College of TCM Practitioners and Acupuncturist of Ontario (CTCMPAO) and is registered as both a R.TCMP and R.Ac.